The Giggle Life wet bag is made of a double layer of TPU waterproof construction and our most popular dots pattern. 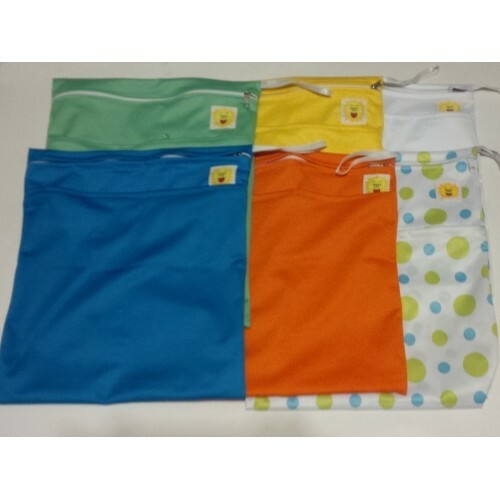 It is very durable, machine washable and provides waterproof protection. It is 11 by 13 inches and contain two separate zippered pockets. The main pocket can fit up to 6 diapers along with a secondary zippered pocket in front. Tags: Giggle Life Cloth Diaper Wet Bag 11x13"